Between the time that Edward Albee was the playwright of the moment on Broadway with Who’s Afraid of Virginia Woolf? in 1962 and the torch was passed along to Peter Shaffer when Broadway unveiled his two sensations, Equus in 1973 and Amadeus in 1979, Peter’s twin brother, Anthony, probably came the closest to equaling their éclat with Sleuth in 1970. 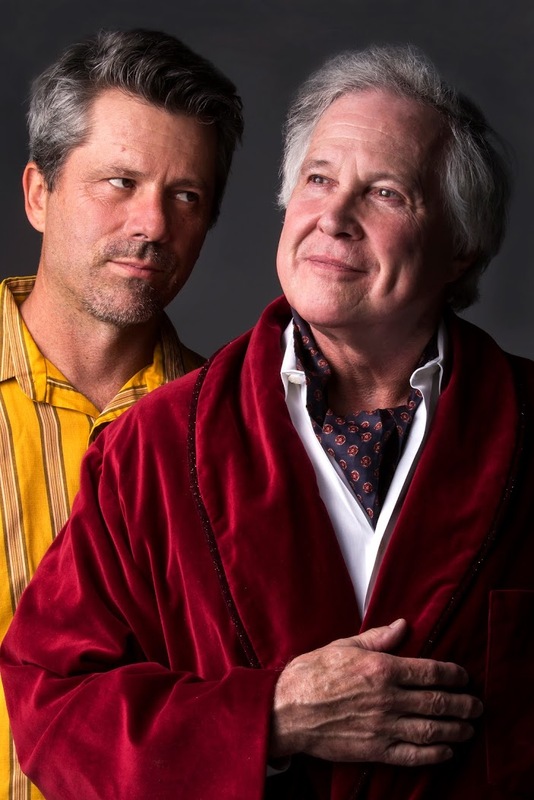 Central Piedmont Community College produced Amadeus at Pease Auditorium in 2006, so they can no longer be accused of favoritism between the twins now that they’re bringing Sleuth to the same venue. Sleuth is tricksy, twisty, and suspenseful, a battle of wits between a successful mystery writer and a younger travel agent who plans to wed the writer’s wife once the estranged couple is legally divorced. Above all, Sleuth is brainy, witty entertainment with undeniable appeal. Andrew Wyke, the celebrated detective novelist, while cultivating lavish and eccentric tastes, has a keen sporting zest for game playing – and takes vicious delight in besting an opponent. But Wyke underestimates Milo Tindle, a scrappy fellow of humbler origins who turns out to be far more resilient and resourceful than we might have thought. When Anthony’s Sleuth burst on Broadway, it logged more performances in its initial run than either of Peter’s hits in their original runs – more performances, in fact, than Virginia Woolf has logged to date in all four of its Broadway engagements combined. Sleuth still has not achieved the prestige – or sparked the Broadway revivals – of the others. It’s noticeably lighter; the whole game playing motif seems borrowed from Virginia Woolf, particularly when Sleuth becomes a best-two-out-of-three affair – and the movie version starring Michael Caine and Laurence Olivier seems so definitive. It may have been more than 40 years since I last saw this film, but as the action unfolded at Pease, I remembered Olivier’s distinctive way of reading “Punchinello” a minute before the moment arrived, and Wyke’s wounded, “You mocked Meridew!” evoked a similar echo. At Halton Theater, where CPCC Summer Theatre launched their 2016 season with Annie and Chicago, production polish – including the Halton’s historically wayward sound system – has risen to unprecedented heights. With James Burns’ scenic design and Don Ketchum’s technical direction, that trend continues at panoramic Pease, where the width of the stage may be four times its height. Under these constraints, Burns delivers the most luxurious set ever seen at Pease for Wyke’s country home, lavishly outfitted with more props, furnishings, and glazed windows than the script requires. The big maritime dummy that must laugh at Wyke’s wit, the crockery that must shatter under gunfire, and the concealed wall safe that must explode all responded reliably on cue, though a little more volume and smoke from the dynamite would not be amiss. Really, it’s a kind of synergy: Burns’ set establishes confidence in the solidity of the production and Ketchum’s tech makes good on it. Gerry Colbert was masterful in bringing out the charming and the vile aspects of Wyke’s fine breeding, a wily spider meticulously weaving a fatal web to ensnare his younger, less urbane guest. Christian Casper wasn’t the most docile patsy as Milo, all the better as Wkye gradually, skillfully exposes and preys upon his weaknesses and insecurities. It was delightful to see Milo’s comeback in Game Two after intermission, though I needed to depend on overheard audience reaction after the show to confirm that the disguise devised for Casper by costume designer Rachel Engstrom really worked. Watching Wyke crumble under Inspector Doppler’s examination was perhaps the most satisfying part of Colbert’s whole performance, a retribution the patrician brute richly deserved. Only Game Three of the drama failed to meet my highest expectations. Directing the show, Carey Kugler uses the full width of the Pease stage as skillfully as you’ll ever see, but in opting for clarity at the end instead of heightened tension and urgency, the thrill of this thriller is diluted. The ten minutes that Wyke has to solve Milo’s three riddles before the cops arrive felt like 20. Getting Milo’s clues clearly and following Wyke’s ratiocination isn’t as important as conveying his terror. In the aftermath, I was quite satisfied with how Colbert and Casper ended their joust, but Kugler and lighting designer Sarah Ackerman need to find a way to frame it more dramatically. If you haven’t seen Sleuth before, there are some twists and deceptions from Shaffer that I must not betray. Watching these unravel for the first time in live performance is a special pleasure, but those coming back to Sleuth will find a unique joy in listening to the whoops of surprise during and after the show. For that reason, I can’t comment in any detail on the work of newcomers Stanley Rushton as Inspector Doppler, Robin Mayfield as Detective Tarrant, and Liam McNulty as Constable Higgs. I can only give you my word that they were every bit as effective as Phillip Farrar, Harold K. Newman, and Roger Purnell were in the original Broadway production.